King Richard III was the last Yorkist king of England, whose death at the Battle of Bosworth effectively ended the Wars of the Roses. He has become infamous because of the disappearance of his young nephews - the Princes in the Tower - and through William Shakespeare's play 'Richard III'. 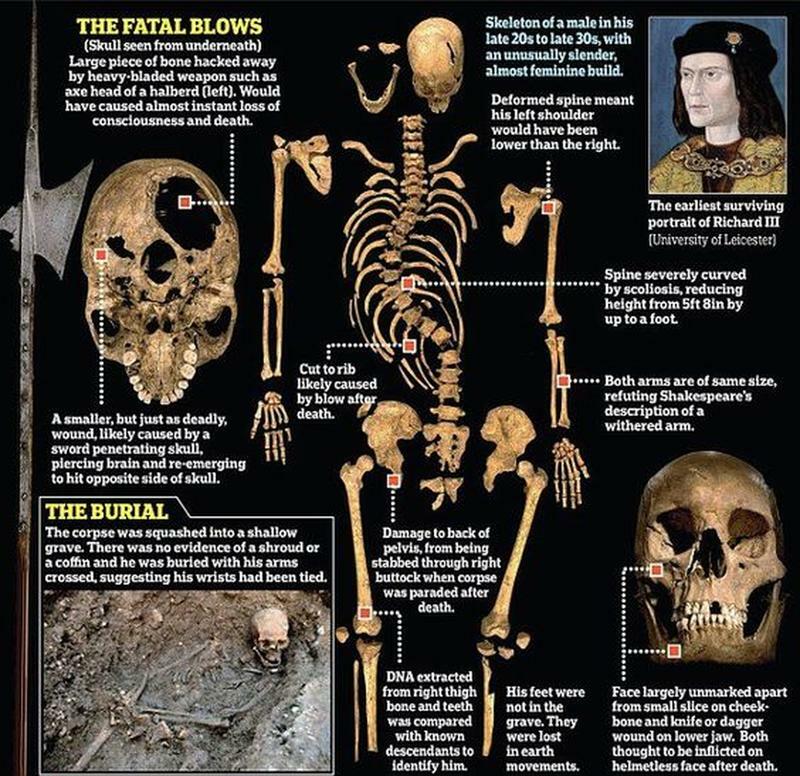 In 2012, archaeologists and researchers began excavating beneath a carpark in Leicester, hoping to find Richard's final resting place. The search captured the public's imagination and the remains subsequently found were confirmed as those of Richard. 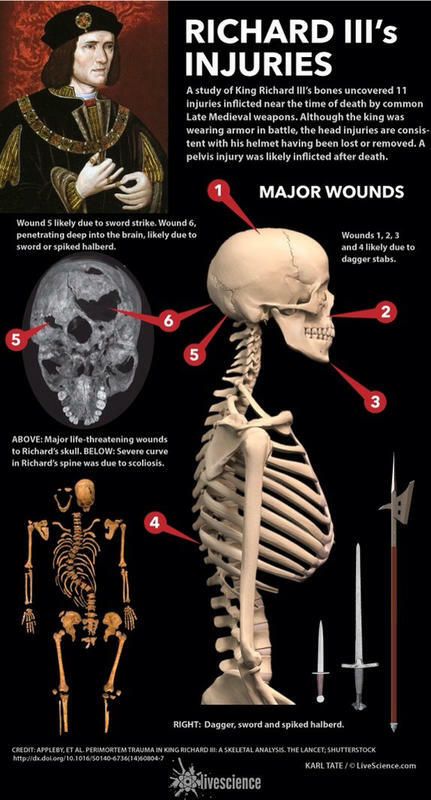 A study of King Richard III’s bones uncovered 11 injuries inflicted near the time of death by common Late Medieval weapons. We have no idea about any of this, what is real or not real, it is all their tale and they tell it like they like it. Hello there. I discovered your website via Google whilst searching for a comparable topic, your web site came up. It appears to be great. I have bookmarked it in my google bookmarks to come back then.